i kind of figured it needed mono active since i tried the script. the result is with active mono on... also, with or without your main script activated, your new scripts don't work... i don't know what i'm doing wrong but i think i'll just wait untill you release a full table and try again then. thank you for still being interested in this game. Last edited by fantomas on Thu Sep 13, 2018 6:31 pm, edited 1 time in total. About 'Creator Mode' script, just change Game.Research:ResearchController:GetPerkTime+31 into Game.Faith:FaithController:IsPowerLocked+35 (lines 4 & 9). In fact, the CreatorMode is used in many places, Game.Faith:FaithController:IsPowerLocked+35 is one of these. I am new here, and in advance I´m sorry for my English. I have successfully changed the 'Instant Perk Research' script, but when I try it with the latter, look what happens to me, and it will not let me activate it, can you help me? Thank you for your feedback - That behavior is due because of a few things, like your game process is not opened in CE (or game is closed) or Mono no longer activated, so CE does not know that Mono name is meaning. Just save that change and try it in your game. Maybe you'll have to restart your game and open it in CE, if it does not still work properly. 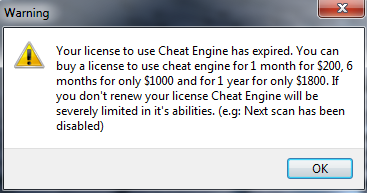 Well, definitely, I don´t know use this, I open the cheat engine, I open the game, I select the game and the ct command, and after 2 minutes of play, the game is crashes, I want to cry. I have never used this system, I have tried to learn through all the comments written in this post, but I see that it does not work. Do not be sad, it will work. I'll post the full updated CT very soon and you can test it. Last edited by fantomas on Thu Sep 13, 2018 6:32 pm, edited 1 time in total. But, am I doing it right? 1 open cheat engine 2 open game 3 select game in cheat engine 4 select ct, activate mono mode and select "empty boxes" with "X"
Cant wait for new table. Thank you so much creator. Max Happiness causes a crash. Fast construction does not seem to turn on for me. You can avoid long waiting time after activating the cheat by going into the tech tree.